Since 1990, Organic Products Trading Company has been working directly with small-scale farmers around the world to source high quality green specialty coffee. Our business is built on long-term relationships with Certified Organic and Fair Trade co-operatives as well as conventional farms that focus on improving their communities, their families, and their environment. OPTCO’s mission is to support coffee producers by providing market access, in addition to collaborating on development projects, gender equality initiatives, harvest finance, and quality improvement programs. Join the effort to support coffee communities by sourcing your certified and conventional beans with OPTCO. Introduction to Cupping– hands-on workshop, review perimeters for cupping protocol, terminology, practical skill building & cupping forms. For coffee professionals that have never cupped as well as those needing to refresh their skills. Calibration Cupping– review and practical application of the skills set from Intro Cupping course. Open discussion of coffee attributes, preparation for Triangulation exercise in advanced Session. Introduction to Le Nez du Café– Discussion and exploration surround aromatics role in coffee flavor. 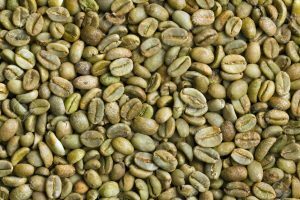 The discussion will include aromatic changes in green coffee through the roast process as it changes from green to shades of brown. Dynamics of Flavor -Taste & Aromatic Exploration – hands-on explorations of flavor modulation, taste vs. aroma, and the effects of heat on flavor. Roasters will participate in flavor-building with non-coffee food samples. Le Nez du Café – review of coffee aromatics and discussion of aroma, specific coffee attributes, and roast profiles. Discussion and review will be followed by Le Nez du Café Aromatics exam. Triangulation Review– This session is a hands-on practical exam. It will consist of 3 flights of coffee for comparative cupping; roasters will identify which coffee is different. Each flight becomes progressively more challenging. COST: $135 per person, each class. Includes a $50 credit toward your next purchase of green coffee from OPTCO. 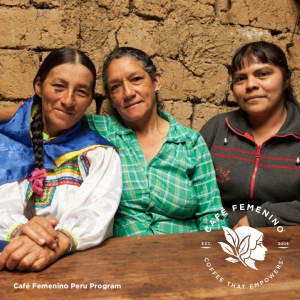 Café Femenino producers, cooperative representatives, roasters, the Café Femenino Foundation, Organic Products Trading Company, Coffee Holding Company, Fair Trade partners; basically all those affiliated with the Cafe Femenino Program. We will serve a breakfast buffet and Café Femenino coffee from several origins provided by featured roasters. This will be a wonderful time to connect with producers. There will be brief informational presentations as well as the opportunity to chat one-on-one.